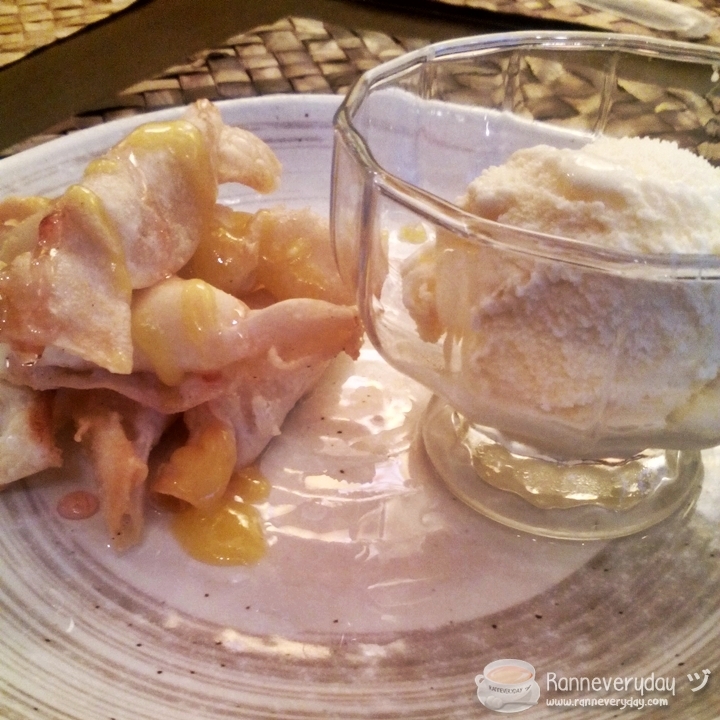 In line with their other Japanese dishes, Rosanjin Japanese Restaurant launched their new set of dishes added to their menu this July 22, 2015. They added new set of Tobanyaki and Kaminabe dishes for the Japanese dishes fans and foodies. Rosanjin Japanese Restaurant was opened at their SM Megamall branch by a food hobbyist who is also a businessman himself. 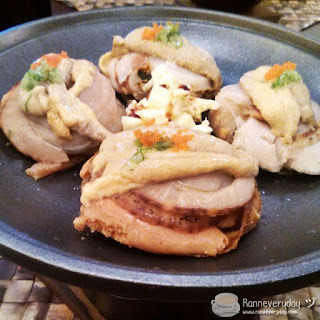 The restaurant was established since 2014 and was inspired from Kitaoji Rosanjin, a Japanese potter, painter and gourmet chef. Rosanjin has been particular not only with their menu but also with the interior decoration of the restaurant, the fixtures and their kitchenware. Their SM Megamall branch in particular can accommodate up to 70 customers. Staffs will greet you with a warm "Irrashaimase!" (en. welcome) and will also greet you "Arigato Gozaimasu!" (en. thank you) as you leave the place. 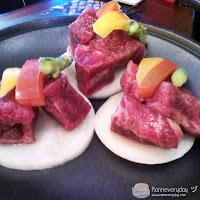 If you are a fan of beef dishes, these two dishes are a must-try. 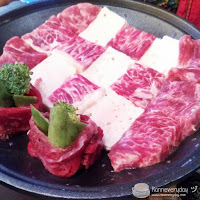 It is preferred to eat them as soon as possible after it's cooked so you can enjoy the softness and juiciness of the beef. 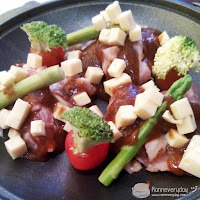 Both chicken meat with cheese cubes, this dish are very tasty. Chicken Cheeseyaki is a combination of the chicken, cheese and veggies like asparagus and broccoli. On the other hand, Chicken Misoyaki is a combination of chicken, cheese, sweet bell peppers with miso paste. The flavor of the two dishes were enhanced because of the melted cheese after it is cooked. If you love fish and sea food these dishes are also worth the try. 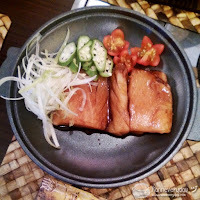 Buri Teriyaki is cooked in a ceramic with Buri (Japanese Amberjack fish) plus the sauce. 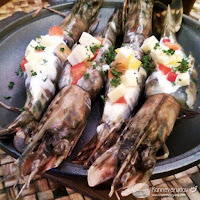 Shrimp Cheeseyaki is the same as the Chicken Cheeseyaki but they used shrimp instead with a hint of tartar sauce. It is a dish with big-sized scallops topped with uni (sea urchin) with a thick slice of butter at the middle. 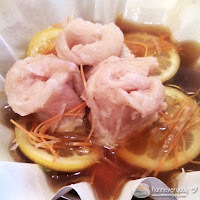 This dish is very delicious and the sea urchin enhances the taste of the dish. 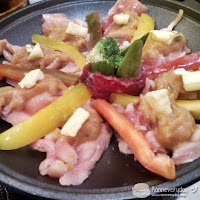 Personally, this dish is my favorite Tobanyaki dish and second will be the Chicken Misoyaki. Kaminabe is a type of cooking with uses Kaminabe paper as the "hot pot" of the dish. Kaminabe paper is a type of Washi (paper) made from the fibers of the gampi tree, mitsumata shrub, paper mulberry, or bamboo. 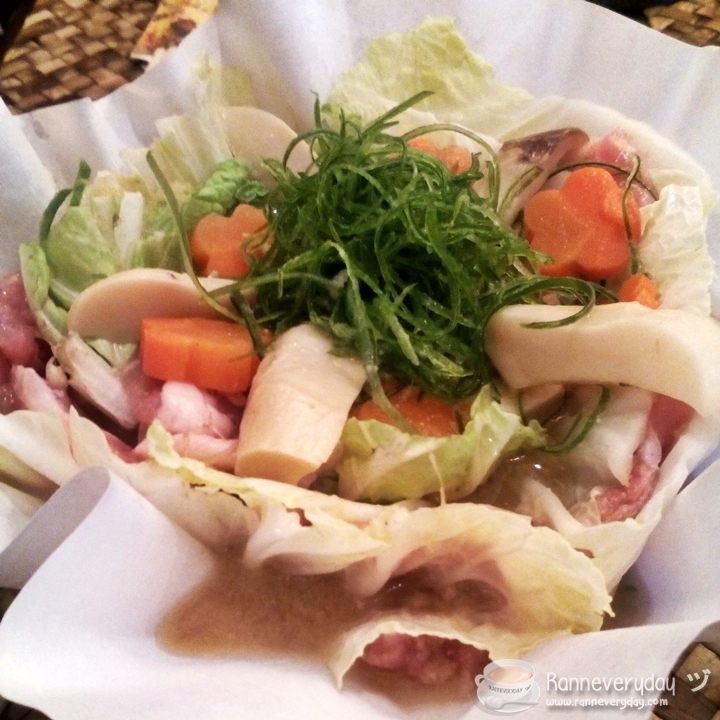 The dish will be cooked with the use of a candle and Kaminabe paper holder. 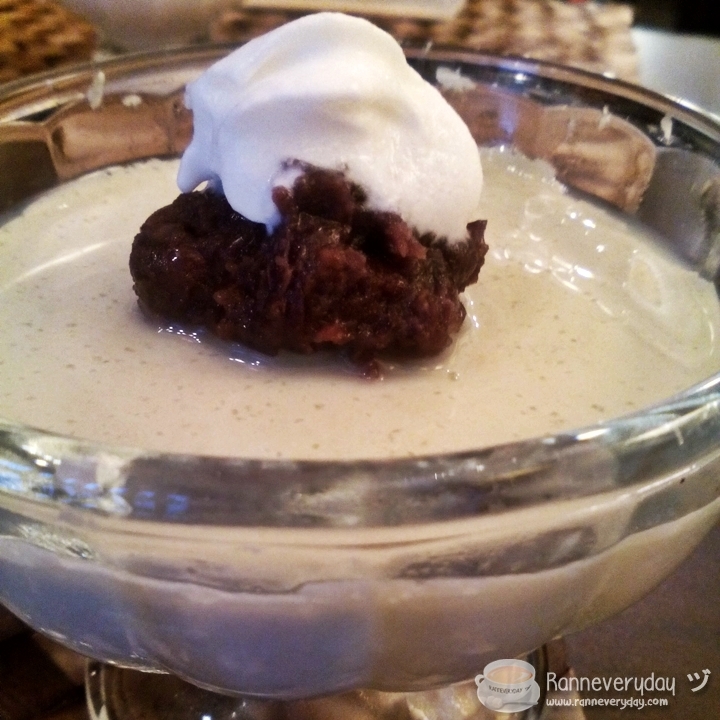 If you like stew-type dishes, this two is a must-try. 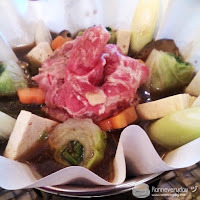 Enjoy the vegetables and beef stew with Sukiyaki Kaminabe and vegetables plus chicken meat with Chicken Kaminabe. Be sure to mix them altogether so that the ingredients are equally cooked. 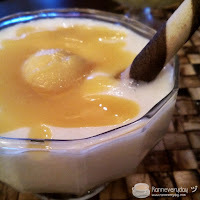 Looking for something sour? Try their Buri Kaminabe with lemon to add sourness to the dish. 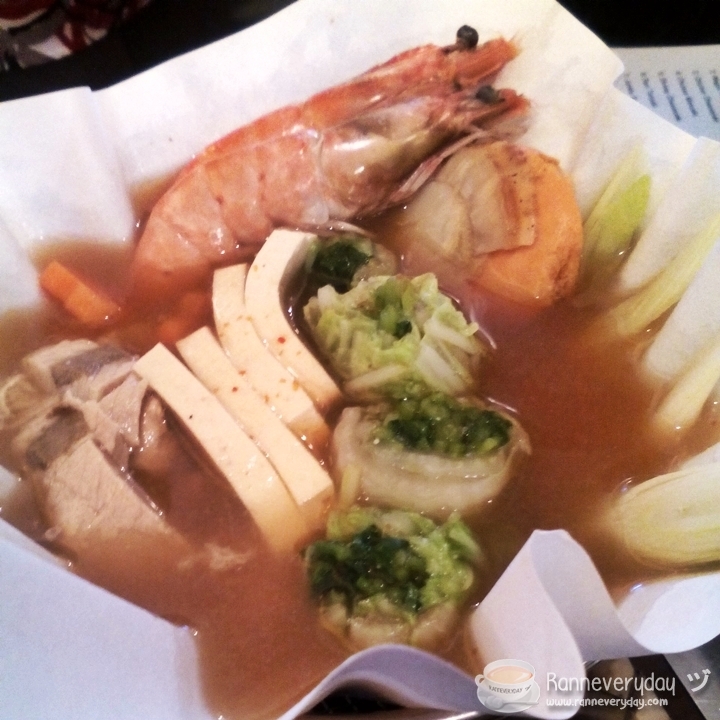 Also try their Seafood Kaminabe, stewed veggies, tofu and seafood. If you love shrimp with the perfect sour taste, try their Shrimp Kaminabe and enjoy the big shrimps with the tasty miso soup. I literally crave for rice after tasting this dish! Be sure to try Rosanjin Japanese Restaurant's new offerings, available starting July 22, 2015. If you are looking for a modern-style Japanese Restaurant, Rosanjin should be on your list. 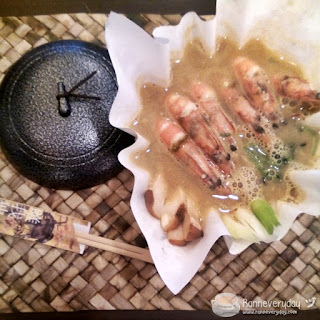 Dishes are available in Ala Carte, in big servings and in set. Drop by at SM Megamall and visit their branch, bring your family and special ones and have a sumptuous Japanese dining experience.